A hybrid fern discovred in Oregon and it has become a garden staple. Soft gray/sage green intricately divided fronds arch out from a central rosette. To 2′ tall and as wide in rich, well drained moisture retentive soil in part shade to shade. Loves regular irrigation and bulks up more quickly then. 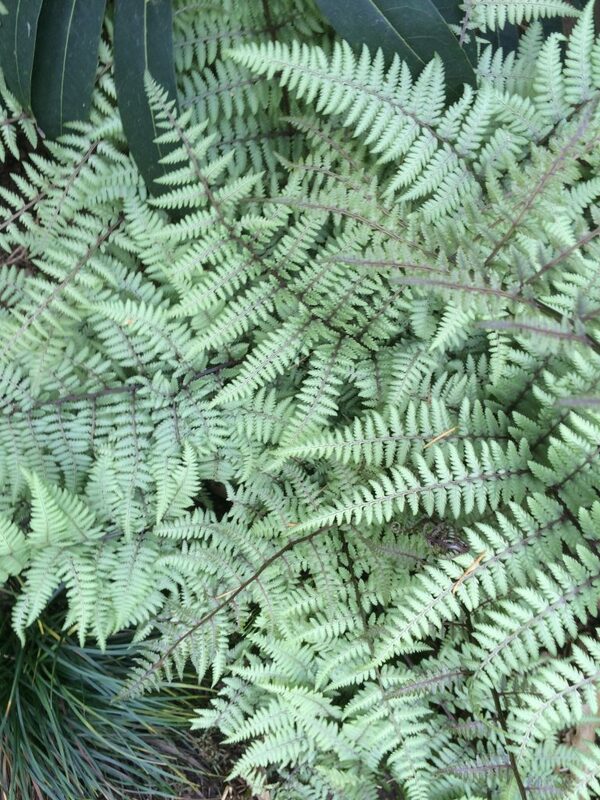 More adaptable than its harder to grow parent Japanese painted fern. Completely deciduous in winter. Takes poorly drained sites.